Environmental protection industry -- SHENZHEN SUNEVAP TECH CO.，LTD. According to the characteristics of materials, the process route of pretreatment + plate forced circulation MVR concentration + cooling crystallization was designed. 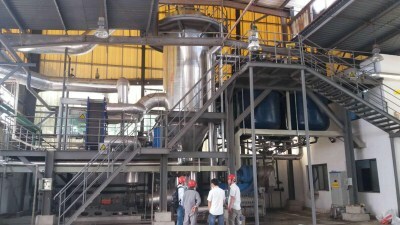 Through the treatment of this process and the equipment of waste water evaporator, on the one hand, the zero discharge of desulfurization wastewater was realized, on the other hand, the magnesium sulfate produced reached the agricultural standard takeout and realized resource utilization.